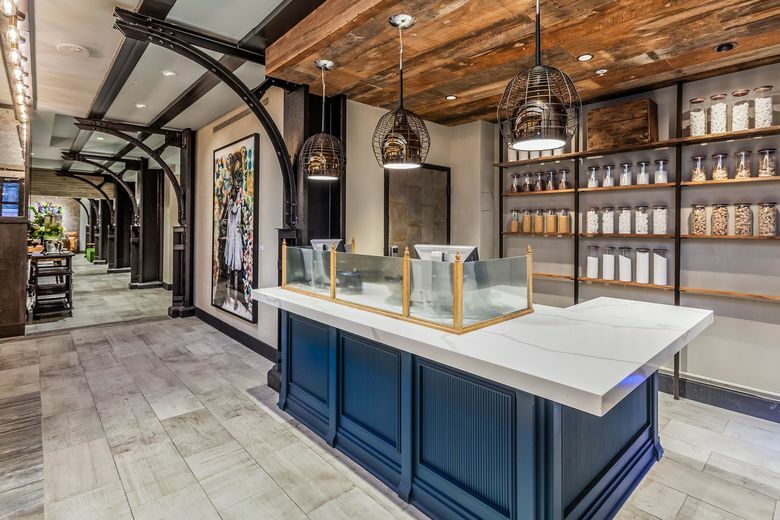 Gulf Breeze, Fla. — April 9, 2019 — Innisfree Hotels, a hotel management, development and marketing company, has put the finishing touches on their renovation of The Mercantile Hotel in New Orleans’ Arts/Warehouse District. The renovations transformed the lobby, adding a spacious craft cocktail bar, rotating art gallery, inviting social area for networking and relaxing, updated business center and a gift shop. Additionally, the unique, all-suites boutique Hotel has added new pops of color and updated touch points throughout the rooms while maintaining its historic charm. Ent believes these new changes to the hotel will entice visitors of all types. Juxtaposed against the historic brick facade at The Mercantile Hotel is a taste of the latest in hospitality technology. The appropriately named ‘Suga’ is an AI butler that is capable of delivering refreshments, snacks and even towels directly to the guests’ rooms, an amenity that is not offered anywhere else in the New Orleans area. Each suite has also been outfitted with Angie Hospitality, a voice activated in-room assistant. To celebrate the renovation, The Mercantile Hotel will be hosting a grand reopening event on April 10th at 5:30 pm, complete with a second line, live music and other entertainment. The event is by invitation only. For further information, please contact the General Manager, Valarie Coston, at vcoston@innisfreehotels.com. The Mercantile Hotel is located at 727 S Peters St New Orleans, LA. 70130. For more information, visit the website at https://themercantilehotelneworleans.com. For more than three decades, Innisfree Hotels has expertly managed, marketed and developed dozens of hotels in partnership with many of the world’s most recognized hotel brands. Today, the company owns or operates over 3,000 hotel rooms, with approximately 2,000 employees. Innisfree is the largest beachfront hotel owner-operator on the Gulf Coast. Innisfree is a triple bottom line company, measuring success not only in profits but also through its impact on people and the planet. To these ends, Innisfree strives to promote a culture of responsibility and service to humanity. A value-driven corporate culture enables the company to have a deeper understanding of the needs of its guests, partners, and clients, thus delivering service that is synonymous with creating fun and memorable experiences. To learn more about Innisfree Hotels, visit http://www.innisfreehotels.com.